Need Local SEO, Small Business SEO or Google Places SEO? Ok, so you’re a small local business and you’ve got yourself a website, because let’s face it, you’ve got a business and you think you need one. After all, what sort of business doesn’t have a website? You’re a local business and you want more local customers – who wouldn’t? You may have done it yourself using one of those systems you’ve seen advertised on the TV or if you’ve had some budget you’ve hired a web design company to do one for you and you may be happy or not with the result. Are you getting any enquiries from local customers? Do you see yourself on Google for the searches you want to be found for? Are you wondering why you bothered with a website? If any if these questions are giving you cause to think, you need to give us a call. 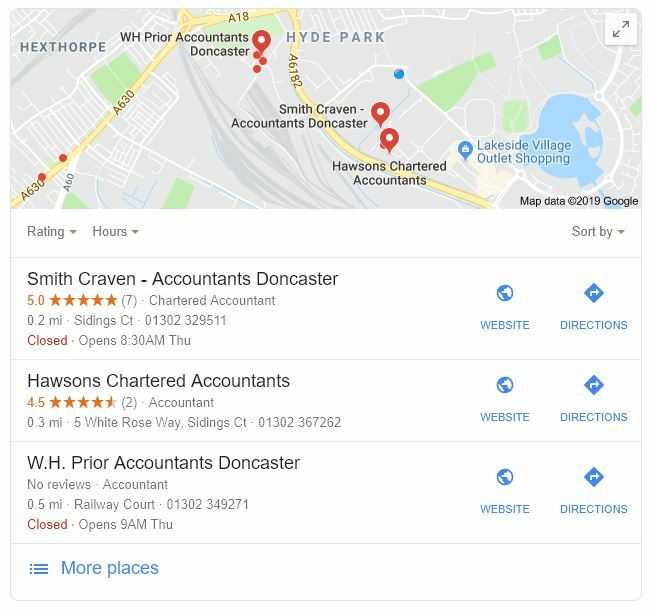 As you can see from the example opposite we specialise in helping local companies get visibility in their town or city for the services or products they provide, it’s as simple as that. Look at the many different ways people search Google for the things you do or products you sell! Make sure your Google My Business profile is full and optimised including getting reviews – you must do this! Only after all that, would we dream of making any recommendations! You’ll get a tailored plan specifically for you and your business, a plan that will see you get more enquiries, more customers and more revenue. Monthly work starts from £300 per month depending on your market, but most of local customers pay this. Companies that pay more include estate agent, accountant and solicitors.